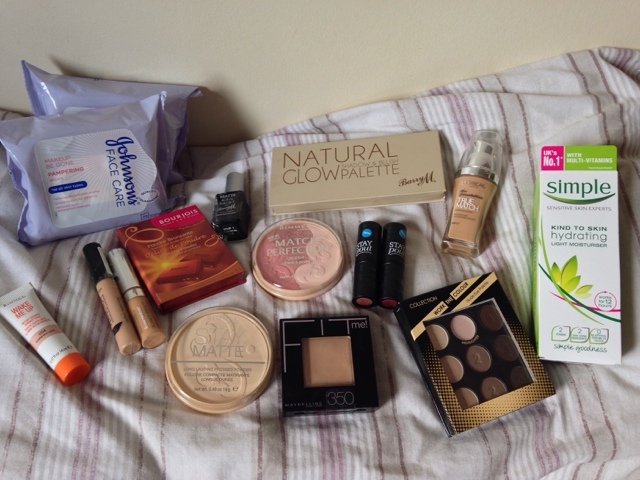 Oh Boots, your 3 for 2 offers make my bank balance want to cry - and my makeup collection so colourful! 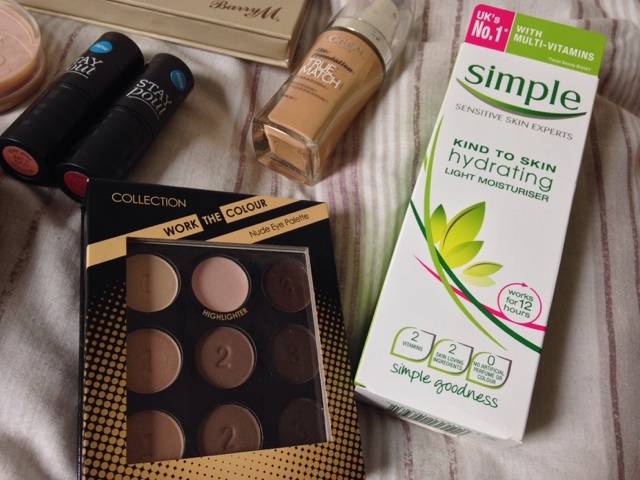 Most of these products are from Boots, with the exception of 4 from fragrance direct. Last month I got a bonus from work so I thought I'd treat myself to a few new bits. These purchases were made over the spread of a few days, so I didn't realise exactly how much I spent - oops. I'll start off with the purchases from fragrance direct. If you haven't head of fragrance direct before then it's basically a online site that sell makeup, hair & body products and fragrances for a slightly cheaper price. They're still the same quality and most will come sealed (they let you know if there's any damaged packaging). The first thing I got was the Maybelline fit me pressed powder in the shade Caramel 350. I've got the fit me foundation in the sahde 315, but I thought if I get a powder that's slightly darker then I can use it to warm up my lighter foundations. I thought I'd try out a new concealer too. 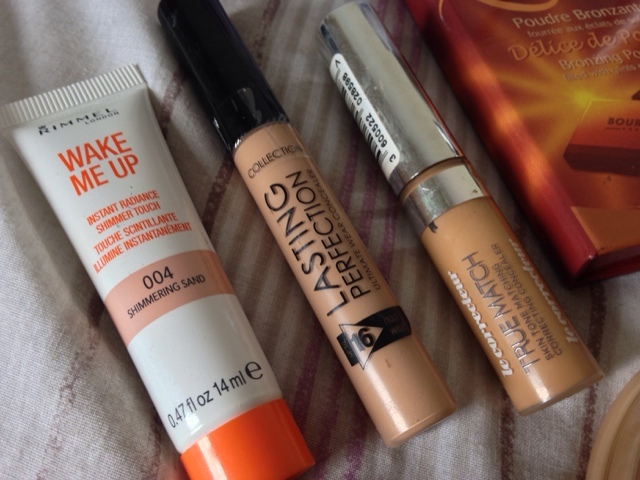 I opted for the Loreal True Match Concealer in the shade Caramel. It's a warm toned, orangey-yellow colour. It actually works perfectly for the redness around my nose and under my bottom lip. I sometimes even use it on top of my under eye concealer too. I then got two products from Rimmel: Wake Me Up Shimmer Touch in the shade Shimmering Sand, and the Match Perfection Blush in Medium. I haven't really heard many reviews about these products I thought I'd try them out anyway. Both look great in their packaging but haven't lived up to my standards so far. Finally, on to my Boots purchases. Whenever there is a 3 for 2 offer I always make sure that all the products I get are similar price so that it works out cheaper per item - that's my accounting & finance degree coming to practice. So in the first purchase I got the two Seventeen stay pout lipsticks in the shade Just a fling and Rule Breaker as well as the Collection lasting perfection concealer in 4 dark. 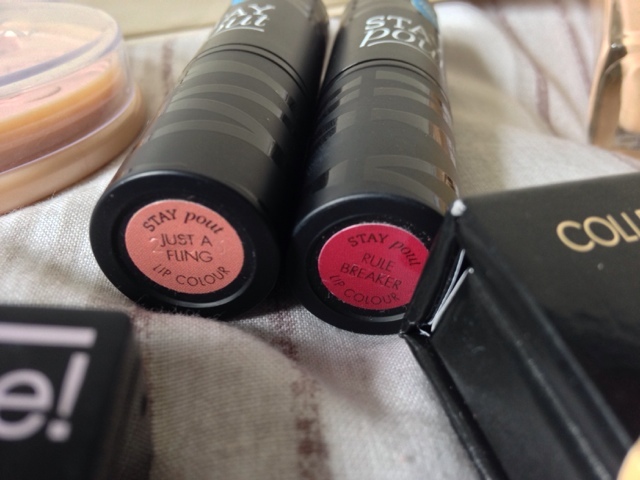 The lipsticks are so good that I will definitley have a swatch post of them up soon. This is my second purchase of the concealer because my current one is almost finishing; but you'll be able to see that in an empties post I'll be doing soon. The second time I bought the Bourjois Delice de Poudre Bronzing powder, which I've wanted to try for ages! and I also got the Loreal True Match foundation in the shade N6. It looked like my perfect shade in the shop, but it's unfortunately a tad too light, which is a shame because I've been dying to try it! 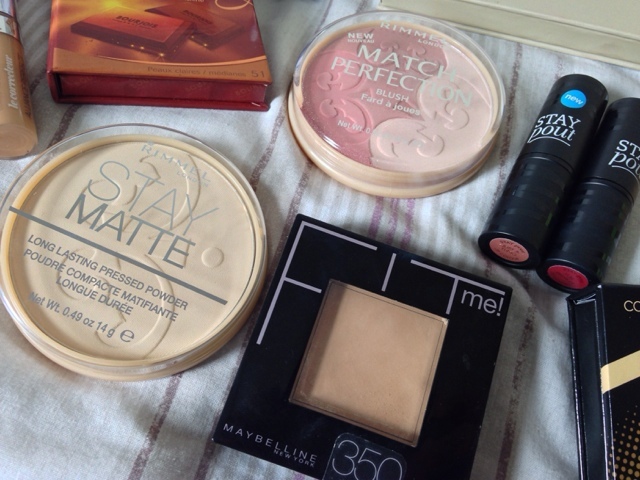 I also got the Barry M Natural Glow eyeshadow and blush palette. I remember a lot of people talking about this when it first came out so I thought I'd give it a go and all the colours are wearable so I'm likely to get good use out of it. 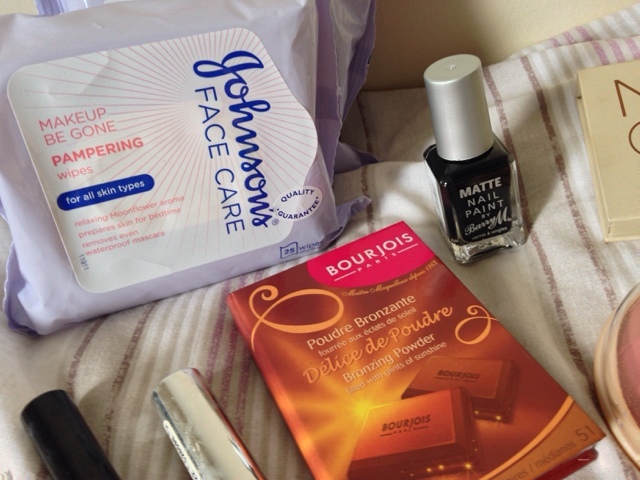 The Last time I purchased two of the make up be gone Johnsons wipes, basic purchase but they're so good. 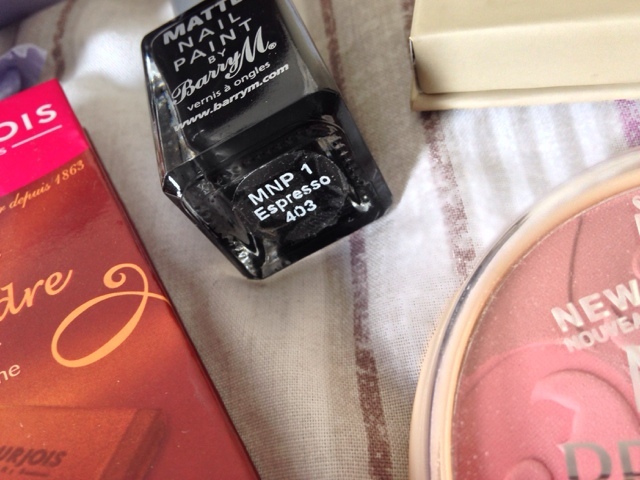 I also got the matte Bary M Nail polish in the shade Espresso which my first impressions of it aren't good at all, the Simple Kind To Skin Light Moisturiser, as my current moisturiser is almost finished. I've wanted to try the Rimmel Stay Matte pressed powder for ages as I've heard so many good things about it so I got it in the shade translucent. 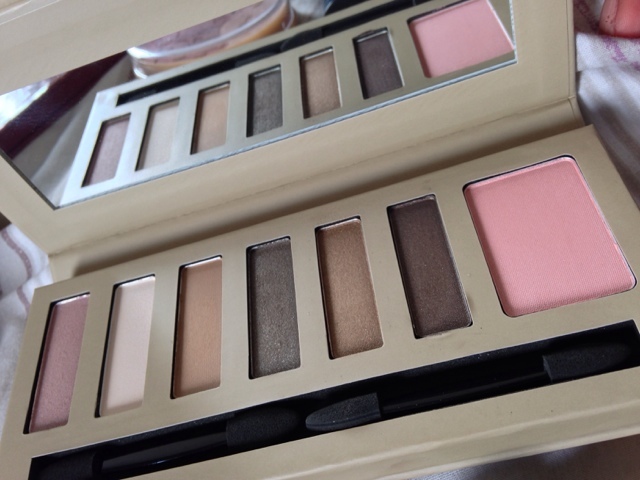 I also like the look of the Collection 2000 They Smokey Eye Palette so I got that too. Sorry this post is so long, but I just had so many things I wanted to share with you. I definitley will be doing some reviews and swatches on a few of the products so keep an eye out for that. If you bought anything from the 3 for 2 offer at boots or have tried these products before then let me know in the comments below.